Mountain View Lodge is the perfect name for this professionally decorated cabin, and it has all the amenities you have been looking for! The main attraction is the undisturbed mountain view of the of US Forest Service Land and the tranquil setting on the mountainside. 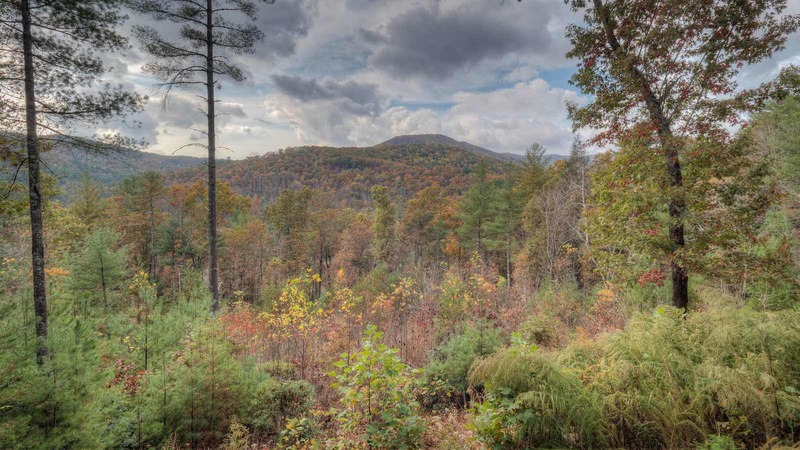 The access is all paved and the drive is beautiful, only about 8 miles from downtown Blue Ridge. All of the furniture in this cabin is brand new as of 2013 and was specifically decorated with your comfort and leisure in mind. The main level exterior features a large wrap around porch that is partially screened with a stone wood burning fireplace. 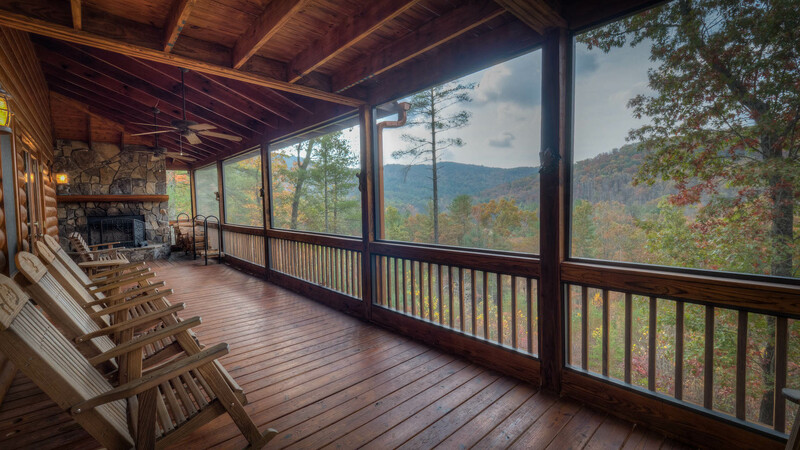 The porch is complete with an outdoor dining table for 6, propane grill, and rocking chairs for cozy night time fires or relaxing mountain views! 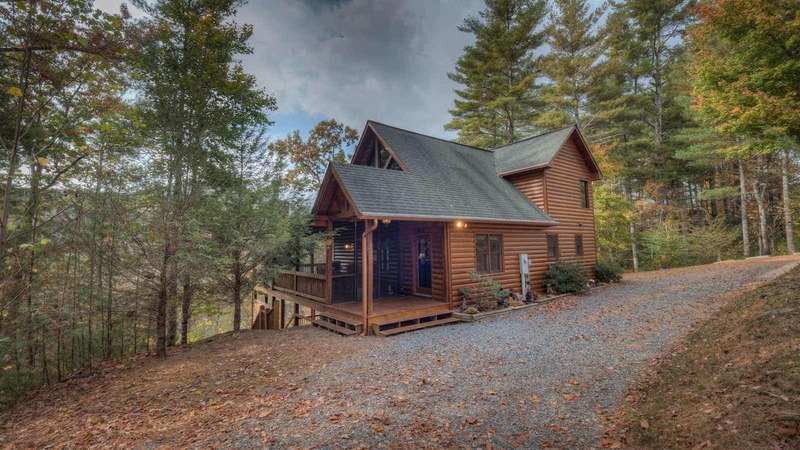 Inside the cabin on the main level, you will find the inviting great room with leather sofas, gas log fireplace, large flat panel TV with satellite and DVD, dining table for 6, and a well stocked custom rocked kitchen complete with stainless appliances and tile counter tops. 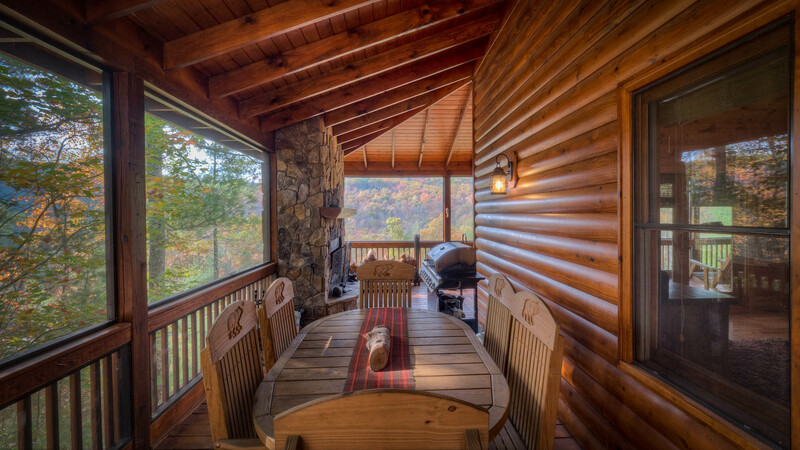 All three bedrooms in this cabin have a custom built king size log bed made by local craftsmen. These talented craftsmen built a majority of the wooden pieces in this cabin and the pride in workmanship is obvious. Each of the three bedrooms also have high end luxury bedding and a flat panel TV with satellite. 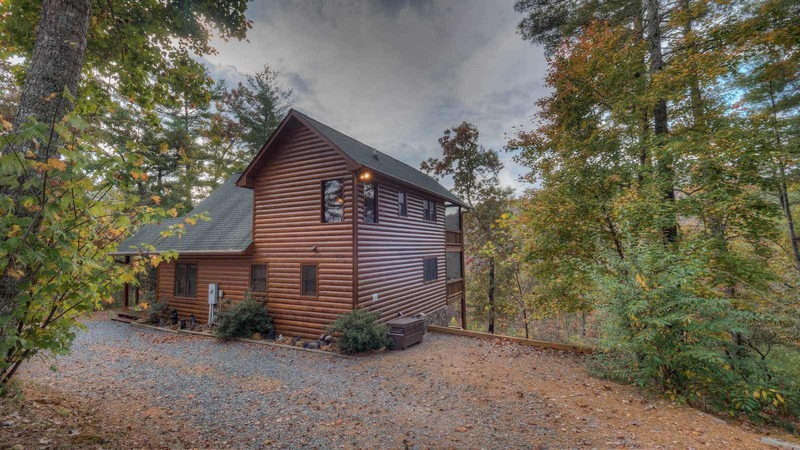 The cabin is on three levels and each level has one of the three bedrooms as well as a full bath, making this cabin perfect for couples or a family that likes space to spread out. The king suite is on the upper level with a private bath including a jetted garden tub. This room also offers a private covered balcony ideal for enjoying your morning cup of tea or coffee while the birds sing and the day begins. Plan a private wine tasting for two as the evening turns to a starry night!! Travel down to the completed basement level and you will find a second gas log fireplace, a large flat panel TV with satellite and DVD, and a full size pool table. This family/ game room will be one of your favorite places to relax and spend time with your company. The hot tub is located just outside the game room is plenty big enough for your whole group. You'll see the additional wooden chairs for resting between warm dips in the hot tub and a partial outdoor breakfast bar, just waiting for drinks, snacks, smore ingredients, and more! Just a few steps away is the wonderful outdoor fire pit, which is the perfect place for telling tall-tales, star gazing, and making memories to last a lifetime. 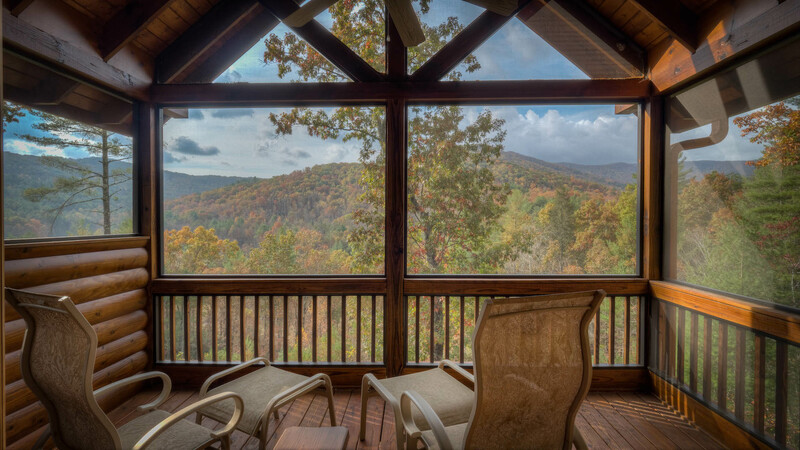 Reserve your stay the perfect cabin in Blue Ridge, Mountain View Lodge!